I recently saw Pan's Labyrinth and one scene in particular that stood out to me was where the girl was looking for a key and there were specific rules she had to follow and if she didn't follow those rules, she could die. She did, in fact, break the rules, and the monster almost got her, but she had chalk and she was able to use it to open another door and escape. The reason was because even though she broke a rule, she understood all the rules and so she could use another rule to get her out of the situation she'd put herself in. To truly be able to experiment in magic, you need to understand the rules so you know which ones you can break and which ones you can bend, and which ones should just be followed. And make no mistake, magic does have its own rules. In fact, you can find some common rules in studying even seemingly disparate practices. But the beauty of magic is that's it something you can also change, if you know the rules. The psychologizing and scientizing of magic aka "Prove it"
I've been reading some different posts in the blogosphere about magic, psychology, and atheism, and I've been mulling over my response to what I see as a trend toward trying to psychologize and scientize magic in order to make it legitimate, at the expense of writing off other perspectives that aren't rational and thus don't fit in a neat little scientific box that can be conveniently labeled and explained. I mention Atheism, because I've noticed that most of the posts have been written by atheists. And just to be clear, I don't have anything against atheism per se, but I do have my own perspectives and observations to offer, which run counter to their perspective. There's this prevailing attitude that believing in gods or spirits as real entities in their own rights is out of fashion and not really tied into the experience of the numinous and that it's to perceive them as psychological constructs or archetypes that can be interacted with as metaphors, but not treated as real entities. And that may work for some people, but I think that when you exclude the possibility that such entities could be real, you also exclude some possible avenues of manifestations. I wonder how much the denial that an entity could be real is based in trying to find comfort that such beings are just psychological constructs as opposed to real entities that could effect a person's life. It seems to me that by psychologizing magic, it makes the entire experience into a mental masturbatory routine, with little substance to add beyond mental confirmation of one's dysfunctions or lack thereof. By trying to explain a magical experience or result as a psychological or even psycho-physiological result what avenues of possibility are being written off because they can't be explained or if they are it's written off as irrational beliefs? The effort that goes toward scientizing magic, ends up treating science as the holy grail that can be used to explain and categorize magic. Science is treated as an objective truth or knowledge that can be used to disprove the irrational aspects of magic, while focusing in on the privileged rational explanations, which usually tend to be focused on an anthropological or psychological explanation. What's forgotten is that even science is a subjective experience. A theory in science is never considered 100% percent fact or true because scientists recognize that there can always be some information that's missing that would change our understanding and consequently disprove a theory. More importantly, however, and what is less acknowledged is that science is ultimately derived from human observation and experience, neither of which is objective. This means that any information we have is ultimately derived from a subjective experience that could be disproven at any time. The on-going trend to scientize magic, to get rid of the irrational comes at a cost that is rather steep, in my opinion. It comes at the cost of utilizing non-rational perspectives, which while not rational, are nonetheless valuable because the suspension of disbelief can open doors that a more rational perspective would write off because it doesn't fit within a scientific or psychological explanation. The other issue that occurs is that magic is relegated to a mental feel good phenomenon, with no tangible results. It's something people do to find comfort, as opposed to being a methodology that produces real, tangible changes. While I won't deny that a lot of where can magic occur is in the mental or conceptual phase, I will also say that I've manifested very real, tangible physical results for myself and other people that weren't just based on psychological or scientific perspective, but utilized non-rational perspectives as a means of accessing possibilities I'd have otherwise written off if I just relied on a psychological or scientific model of magic. I do find value in deriving some of my methodology from science or psychological perspectives, but I don't think they even begin to accurately describe, define, or otherwise provide a full and coherent explanation of magic, nor should they. Also just because I rely on irrational perspectives and approaches doesn't make me any less skeptical. However I've found that such perspectives have proven themselves time and time again. Writing them off in favor of a rational explanation purely because that rational explanation says it isn't possible seems at best foolish and at worst dogmatic. What it really boils down to is that while I my derive some of my techniques and methods from a scientific or psychological perspective, I wouldn't use either to try and label or define magic, because in doing so I unnecessarily limit what I can do. Likewise I wouldn't use magic to define or explain psychology or science because the magical perspective wouldn't adequately describe, define, or demonstrate a coherent understanding of such disciplines. I recognize that for the atheist magicians these perspectives are useful for explaining magic, but I find their definitions to be rather dull and useless. There is something lacking in such approaches. I suppose they could say I was a superstitious fool, but magic will never just be in my head, nor will the entities I work with just be archetypes, and I'm perfectly happy with that perspective. I've always found it fascinating how chaos magicians will get rid of an entity when it evolves. We're told that such an evolution is dangerous, because the entity will potentially get out of our control. I've never really agreed with that stance. Why go to all the trouble of creating an entity if you get rid of it when it gets better at what it does? The concern, as I understand it, is that if an entity evolves, it could evolve past your control and start to use you. I think the issue revolves around control, and yet I think such control is ultimately an illusion. I prefer creating mutually beneficial relationships, including with the entities I create, and if those entities I evolve I don't think the issue is too complex in terms of how to handle that evolution. It just comes down to continuing to develop a mutually beneficial relationship with respect on both sides...and if you treat your entity with respect then its not really an issue. I created Sped Limt about four and a half years ago, maybe a bit longer. I used a dragon pendant for his home. I wanted an entity that would make me aware of cop traps and help me stay aware of the speed limit. Every time I saw a cop car I thanked Sped Limt for shredding its invisibility for me. Over time Sped Limt evolved. He helped me be more aware of any government vehicles, helped me navigate around accidents, construction, and busy traffic. He also protected himself from thieves the one time the car was broken into. And so I realized he had evolved and I gave him a second pendant. Recently I was pulled over by a cop. Lest you think it was Sped Limt's failure, it was in truth my own, but Sped Limt came in handy again. I was polite to the cop, and after he went to look over my license and paperwork, I thanked Sped Limt as I always did and also decided to see if he could influence the situation so I only got a warning. Lo and behold I did only get a warning and while being polite and admitting I sped probably helped, I also think Sped Limt put his influence in as well. So I'm getting him another pendant. I've got a lot of respect for what Sped Limt can do and how much easier he makes my life. The entity has clearly evolved over time and I'm perfectly comfortable with that as well. It's a relationship. We take care of each other. He's changed, but even those changes have ultimately helped me as much as they do him. We both benefit. I have respect for that. I think of Sped Limt as an objective entity. I created him, but he is his own being. I have no objective "proof" beyond his evolution, which primarily has occurred without my direct input. Some could claim he's just a subjective expression of my mind, a way of being able to relate to the dangers of the road, but such an analysis is ultimately based off human perception and subjectivity. Just as I can't necessarily prove that Sped Limt is an objective entity, it can't be proved he's subjective either. And I find the notion of him being a psychological construct much more boring, because its solipsistic and narrow, and based on a perception that limits consciousness to human, as if there could never be other forms of consciousness. Sped Limt has evolved in large part to address situations that weren't originally included in the initial creation of him. That evolution has becoming increasingly sophisticated, allowing him to deal with new situations. And as that evolution has occurred my relationship with him has changed to acknowledge the evolution. The pendants are gifts and also acknowledgment...respect. And it seems to work. I haven't had to get rid of him, or dissolve him, or otherwise try and control him. We've just continued to develop our relationship. I've noticed with some interest an increasing intersection of Atheism and magic. A number of magicians I know have mentioned they are atheists. I see some of this rise in Atheism as a result of the psychologizing of magic, wherein magical practices and results are explained from a psychological perspective. When such a perspective is applied to spirits, entities, and gods, they are explained as psychological constructs, and as such no longer possess an objective existence. Instead they are subjectivities of the human experience or representations of deep constructs given a form and mannerism that's easy to interact with. I can see the appeal of such a model, and also why it's lead to an atheistic perspective. I can also understand the appeal of atheism in terms of the rationalistic perspective it offers, but I also find it an interesting shift and I will admit that while I understand it, I don't necessarily agree with it. My own perspective is not one of religion (which I don't agree with either) but rather of perceiving spirits as objective beings that happen to have a different reality than my own. I don't think they need my worship, but I do have respect for them. I don't think atheism and magic are incompatible. I find it to be an interesting mix and I'll be curious to see what the results are, although I've already seen some of those results in how people approach magic, and the culture that is emerging over the last couple of years. A reader asked me yesterday, after I posted my review of Evola's book on Buddhism, if I agreed with Evola's traditionalist views in other areas, because I liked Evola's work. When I posted the review to Amazon, I'd noticed traditionalism come up as a possible tag, first time I ever came across the word actually. Let me just say that assuming I'm anything based on what I read is at best an erroneous assumption. It's true I like Julius Evola's writing. And if we were to research Julius the person, we would find out he was a fascist and I guess a traditionalist as well (maybe they are even one and the same!). But I'm not interested in Evola's political beliefs and don't find them relevant to my practice. Nor, really, am I concerned with labeling his spiritual practices or my own as traditionalist. In fact, I'm not really interesting in trying to label my own practices either. The most I've ever done is to label myself as an experimental magician, an even that label is one I rely on less these days. What's really important afterall is not the label, but rather what one is actually doing. So for me, Evola's writing, which I like because he's a good scholar and offers some intriguing perspectives on what he writes about, whether it's Buddhism or Tantra, or Hermeticism, or an article on time magic, is important because I find it relevant to my spiritual practice. Frex, the book on Buddhism offered some useful insights into early Buddhist texts and practices, and proved helpful in my emptiness working. But even though I like his works, it shouldn't be assumed that I'm a traditionalist or anything else that Evola was. I am, after all, not Julius Evola (last I checked). Nor because I've read Edward Hall and liked his work, should it be assumed I hold to his political beliefs or his approach to anthropology or anything else. Liking someone's writing doesn't mean you agree with all of it or that you hold the same beliefs as someone. But really what I'm saying is this: Labels are at best an illusion crafted to provide us and others the security (a false one) of being able to say this person is this or that. But what if I'm not? I read what I read because I find it important to cultivate an awareness of a wide variety of perspectives and beliefs so that I can see how those perspectives inform my spiritual and indeed, overall life. So am I a traditionalist? Likely not. But I am me...and I do enjoy learning and applying what I learn toward living a better life. I hope you do as well. In this book, Hall explores the intricacies of time and space from a cultural studies perspective. Although this book is a bit dated, the information is still very relevant, and what Hell offers is an examination of how much our perception of time influences our cultural and everyday interactions. For example, learning just how tightly time is wound for Americans as opposed to other cultures is quite insightful to the workaholicism that pervades American culture. Hall touches on some aspects of space as well, though you'll find more of his thoughts on it, in the hidden dimension. What I most enjoyed about this book is an exploration of time from a social science perspective as opposed to a hard science perspective. I definitely recommend it to anyone interested in understanding concepts of space and time. I've been meaning to post this all week, and finally got to it today. I did go to a presentation on Sunday: Brandy William's talk on Chaldean Oracles. It was a really interesting talk and gave me quite a bit of appreciation for Brandy's ability as speaker and presenter. The lighting on that picture isn't great, but there she is, just about ready to do her talk. The rest of the day was spent talking to various people and selling books. What stood out to me about this convention was the intimacy of it. There was a nice crowd of people, and everyone was there to look at (and buy) books, as well as go to the presentations. I got into some wonderful conversations throughout the entire convention. Here's a picture of John Coughlin, with his wife Nicole. I met John years ago at Winterstar, but only finally saw him again in person at this event. Needless to say the opportunity to connect with him again and talk at length was really something I appreciated. John's sense of humor, in particular, is something I've always liked and he was just as funny this time as the last time I saw him. He also was a co-panelist with us about small press publishing. Finally here's a picture of Lupa and I at our table of books. We definitely left with a lot less books, which made both her and I happy, and from the look on various faces, made other people happy as well. I definitely look forward to going back next year. I've taken some photos today, and will take more tomorrow and do a picture post. So far I've really been impressed by this convention. It's one of the more occult leaning conventions I've been to and is focused primarily on scholarly presentations and occult books. I've liked the handbound work I've seen as well as the diverse range of books. One's even caught my eye. I wish I had gone to some presentations besides the immanion panel and will make it a point to go to one or two tomorrow. But I have really enjoyed catching up with John Coughlin of Waning Moon Publications about his work and also speaking with various other people I'd met today. It's always a pleasure to speak with people who are really serious about their practice. I've also enjoyed staying with Erynn and Phil as well as catching up with them. Overall I'm impressed by the quality of the books, the convention itself, and everything else I've seen. Assuming this occurs again (which seems a bit likely) we'll definitely vend and participate again, and I highly recommend it out for the variety of books and perspectives on magic, the convention offers. On another note, this is the kind of occult culture I like participating in. It's focused on magic, it's focused on small press, and it's focused on people in a very intimate way. I like talking magic with others, and also like that there's no branding going...simply people sharing in their passion for magic. I talked about family identity and individual identity patterns in my last post, but in Outliers, Gladwell also discusses cultural patterns and heritage and how it can impact the way people work together, how well they learn particular subjects. Of course this has all been written about elsewhere as well, but the focus in Gladwell's work is particularly relevant to my own identity work, because he discusses how cultural patterns of identity can be shifted by introducing alternate cultural patterns of identity, especially through language. The case study he provides, where Korean pilots were trained to speak English as the first part of a rigorous change in how they flew airplanes is really interesting, because it shows how the introduction of a different language successfully allowed the pilots to, while flying the airplane, get away from cultural memes that actually hindered their communication when flying the planes before. Basically written within any language is the cultural memes that accompany the language. If you want to change those cultural memes, or cultural identity, introducing another language, with its cultural identity can be a useful way to do so. Language is the obvious route for this kind of identity work, but from personal experience, I've also found that studying another culture's practices and integrating those practices (spiritual in my case) into your life can be a useful method of shifting your cultural identity. This is also true with subculture identities as well, and even "class" identities, though social class is just another form of subculture identity. If you can successfully integrate cultural practices from a different subculture identity than your own, you can use those practices to break out of your cultural identities. In fact, I think they could also be useful for helping you break out of family identity patterns. Certainly some of the wealth magic work has involved utilizing different cultural identity patterns from other subcultures outside of the ones I'm familiar with. Those identity patterns have been useful for changing many of my beliefs about finances, networking, small business development etc. Of course by using different cultural identities, I end up assuming those identities...but it's also made it easier to resist family identity patterns that continue to believe in identity structures that are less healthy for my entrepreneurial work. The cultural identity shift is a larger identity shift, a backdrop against which family and individual identity shifts also occur. They are easier to enact on a personal level than family identity shifts, because they don't have the same type of history on a personal level. But I suspect they can help create momentum to enable family identity shifts as well. Unfortunately to prove some of that would ultimately involve several generations of family after myself and since I don't plan to have kids, it may not be so easily proven. Regardless, I can at least continue to explore how my own integration of entrepreneurial cultural practices as well as Taoist and Buddhist cultural practices contributes to the shifting of identity patterns I desire to change. In thinking about it further, I think that part of what bothers me about the video series by "college girl" is that this looks like just another case of someone who's dabbling in the occult who's decided to set herself up as an expert, or someone's who decided to capitalize off of being in the occulture, even if s/he doesn't really practice magic and in fact identifies as an ex-occultist. At times what I think I see in the occult community is a lot of people who want to slap on the label of being an occultist, but not put in the work. It's one thing to talk about something, but are you actually doing it, is another thing altogether. I see a lot of talk, but not a lot of walk. I see a lot of hype, and what I think of as an attempt to appear different, cool, elite, and whatever else, but I don't see how these people are really integrating any of the actual practice into their lives. I was talking with Bill W about this today and he said that the majority of people who identify as occultists don't really practice, so much as talk about it. Maybe's he right. Certainly I've seen that often enough. I know some occultists who practice, and a few who I'd actually work with. What I dislike seeing, and I see it more is an appropriation of the occult, and occult culture by people who don't practice it, and are mainly using it for a social purpose and as a way of somehow distinguishing themselves from other people. Looking as it were to an outside source as a way of validating themselves, when instead perhaps they should look inward to validate themselves and focus less on trying to appear different, and focus more on contributing something of value that goes deeper than just appropriating a subculture to capitalize on it for the sake of promoting themselves. Yesterday I had a conversation about the need to feel special and how that plays out in occult/pagan culture and also the feeling/role of vulnerability in magic. I don't really perceive myself or what I do as special perse. 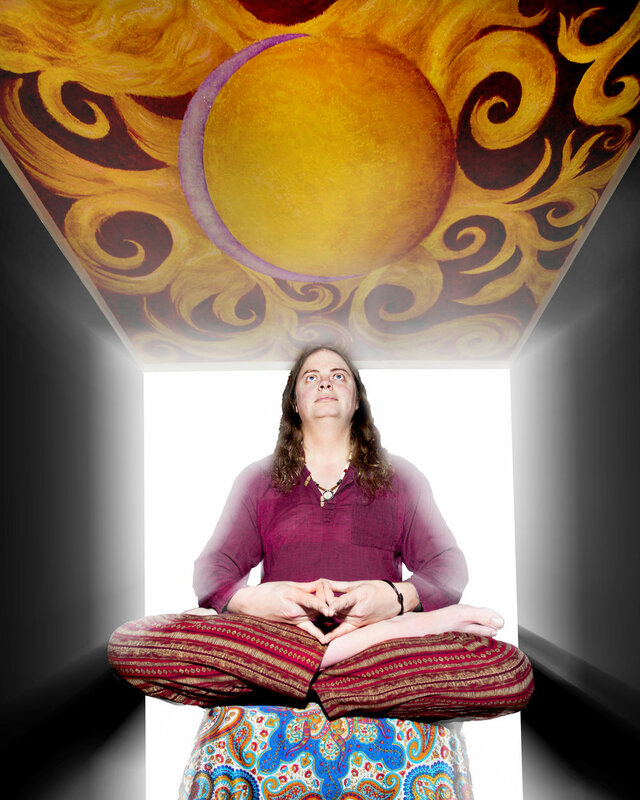 I think my practice of magic is an expression of my spirituality and curiosity. It's a methodology and process for asking questions and finding questions. Even the books and articles I write are an extension of that process, a desire to share information with like minded people. Granted, I enjoy presenting workshops and also writing books, but even that enjoyment is another expression of myself...it's not so much about feeling special as its about being true to my calling. And once I'm done presenting that workshop, I like just hanging out and talking for a while with people, like anyone else. Of course specialness can refer to otherness with magic, i.e. the otherworld...even that specialness is really not reserved for anyone...different faces, different archetypes, different beliefs can all lead to the otherworld. And the relationships we cultivate with that otherworld are like any other relationships, cultivated with care, effort, communication, love, etc. As for vulnerability, a comment made was that there's a lot of fronting in magical culture, and not a lot of sharing of the process and mistakes and situations where someone does make a mistake...and I'm inclined to agree that for the most part this is the case. If I tell someone I'm working on a project, I don't want to just hear that they worked on something similar two years ago. I want to open up a dialogue between us, so I can learn what their process was and show them what my process is...and yes, be vulnerable, be willing to share the mistakes as well as the triumphs. I don't think this aspect of magical practice is shared as often as it could be, because too much focus is emphasized on showing how magically buff one is. But no matter how successful a person is at anything, that success is truly gained by making mistakes and learning from them. 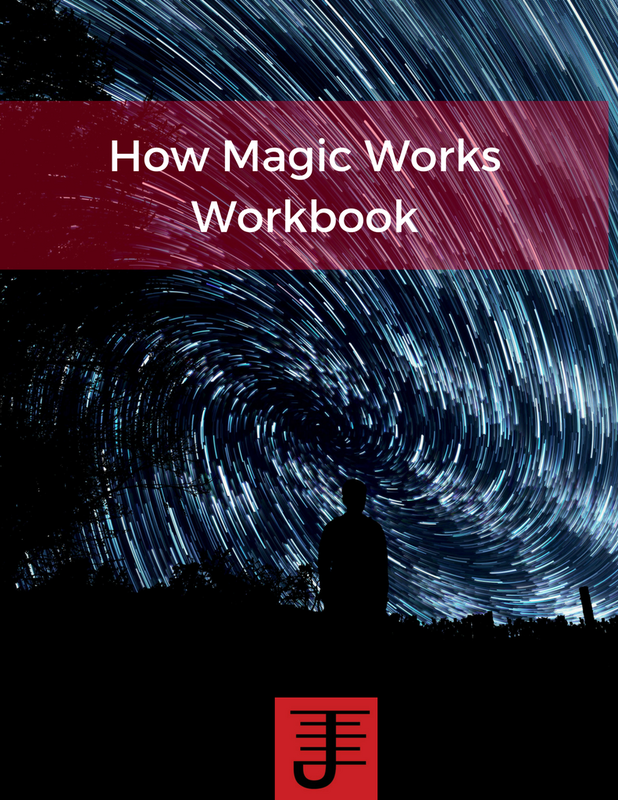 And if we can see that in action, then we can also appreciate magic as a holistic process, which shows us how to communicate with ourselves, each other, and the otherworld. I've previously posted on here about magic as a social practice, but I've decided to expand on that further by examining the concept of social responsibility and whether magic has any role in it, or not. As far as I can tell this is not a question which has really been asked in occultism, beyond the Ethics of Thelema by Gerald Del Campo, which ultimately focuses on a religion and its approach to ethics. Given that I don't consider my practice of magic to be a religion, I'm not interested in approaching this argument in context to what a central figure wrote. Del Campo's discussion inevitably has to revolve around Crowley because he is the central figure of Thelema, but such a narrow focus ultimately doesn't examine magic and its relationship to social responsibility (nor, to be fair to Gerald, was that necessarily his intent). The other reason I'm not interested in approaching this issue from a religious angle is that all too often moral and ethical authority is placed in the hands of some cosmic being, as opposed to residing in the hands of ourselves. By placing such authority in the hands of a deity that may or may not care about what happens, we abdicate our responsibilities to ourselves and each other, or worse come up with ways to conveniently invoke the name of the deity while flogging our personal values and beliefs on other people. The Far Right Conservative Christians are an example of what happens when people choose to conveniently displace any sense of personal responsibility into the hands of a deity while promoting what is ultimately a hateful and destructive agenda in the name of religion. It is harder, but much more important to place the responsibility of how we treat each other and this planet in our own hands. I suppose one could argue that the ethics of magic is examined in the Wiccan rede, but I've never found that to be entirely satisfactory either and beyond stating that one shouldn't harm others in acts of magic, it doesn't seem to deal with the concept of social responsibility at all. Then again, I haven't even defined social responsibility, so let's focus on that for a bit. I recently finished reading the Analects by Confucius and have just started reading The Mencius. Something which really impressed me about what I read is the concept of social responsibility toward your fellow person and indeed the overall society one lives in. Confucius calls social responsibility benevolence, but I'm going to refer to it as social responsibility. In the works I've read social responsibility involves having an obligation your family first and formost and from there other people who are connected to you. The more connected people are to you, the more obligation is involved. This sense of obligation also applies to statecraft in the sense that one has an obligation to be involved in statescraft. I don't entirely agree with the Confucian model of social responsibility because it can be fairly elitist, but I do recognize one important aspect of it, which is the focus on taking care of the people you are connected to. However, I also see the possibility for some extensions in other directions. The concept of social responsibility is something I've been thinking about and trying to act upon in my personal choices for quite a while. I think of social responsibility as a recognition that the welfare of the community is equally as important as the welfare of the individual, if not more so, for the simple fact that an individual has a much harder time living and surviving alone than if s/he has a community to draw upon (and also resources to offer the community). In other words, it is important that the person recognizes that s/he needs to be an active participant in the community s/he is a part of in order for both the community and the person to flourish. An additional layer of social responsibility is the recognition that each person must be a responsible steward of this planet. This involves more than just recycling and cutting down on one's carbon imprint. It involves recognizing that the planet is a living being in its own right and we live in a symbiotic relationship with this planet as well as with all the other life forms existing in it. It involves making an active effort to connect with the land, similar as you would with the community you are a part of. Some of starhawk's work and the tradition of Reclaiming focuses on environmental work and one's obligation to the environment, and that can be a useful jumping off point for exploring environmental action and magic. Part of what has motivated me to question the occult culture (and magic) and its significance or lack thereof in contemporary society and culture is that I've rarely felt that my spiritual practice has actually connected me to the people around me. It has been useful in getting me results, but it seems that the focus in Western Magic, at least, is primarily a me-ist focus...what can I get for myself, as opposed to what can I give of myself. While I certainly appreciate the effectiveness of results magic in terms of making some situations in my life easier to deal with, I've also, especially over the last five or so years, questioned how magic can be integrated into society, and whether magic can be incorporated into society as a method and practice of social responsibility. The magical activity I've observed as having aspects of social responsibility has inevitably focused on using magic to attack corporations or subversively undermine values of society that the magician doesn't agree with. I certainly think subversive magic has it's place and that utilizing magic in regards to protests of corporations or unjust wars is of value, but what stands out to me about those activities is that they seem mostly destructive and of course focused on the existing archetype of the magician as a rebel. I have not observed any constructive focus or practical application of magic as a force for social responsibility and the closest archetype I can find that might involve a positive role is that of the Shaman serving his/her community. I think it is vitally important to determine if magic as a methodology can be used to promote social responsibility to ourselves, and to others...not a religion, but instead as a dialogue for how our interactions with spirit mesh with our interactions with the everyday realities of this world and with how we treat each other. One direction to explore is the path of using internal work to cultivate an increased conscious awareness of one's actions and the effect those actions have on not just the self, but other people, and also the other lifeforms we are symbiotically connected to. While I don't believe that internal work can solve all of our problems, I will note that an increased awareness also leads to an increased focus on being socially responsible in one's actions and words. It certainly has for me...as five years ago I generally only cared about myself and how anything anyone did benefited me. Internal work is not just about becoming spiritually liberated or psychologically sound of mine. It is about recognizing the profound connection we have to each other and to all living things and the decision to step up and become actively responsible in how we choose to interact with all those living things. It is not merely a healing of childhood wounds, but an awareness that for true healing to occur, it cannot be limited to just the self, but must be extended through actions and words to what is around us. But magic as a form of social responsibility must be taken further than just internal work. We need to ask how it can be applied practically to the world around us. Do we do a ritual to heal the Earth and if so what does that practically mean? How does that ritual change our consciousness and does that change only last while we do the ritual? How do we take magic and change the focus from me to we? I finished reading When Things Fall Apart by Pema Chodron. Although I've reviewed it before, I've never reviewed it on here, so below is a new review, fresh off from re-reading it. This is a book that will always challenge you and cause you to discover something new about yourself each time you read it. Having read it a second time, I found myself realizing new lessons which spoke to the heart and soul of my current situation and have no doubt that this book will be relevant again down the line for other situations. 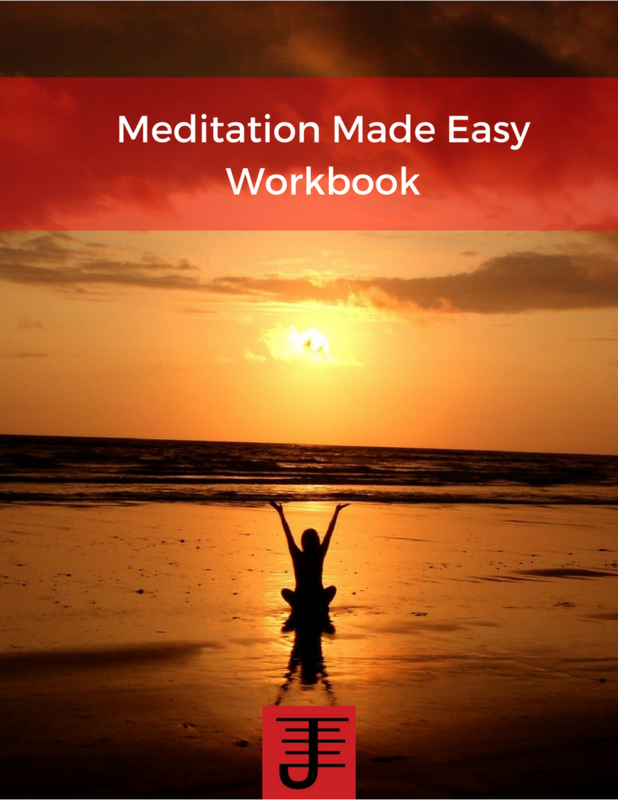 This isn't a book which offers concrete meditation techniques, but rather offers perspectives and reflection for you to consider as you meditate and indeed navigate everyday life. I was listening to an episode of Catnip Brew, a podcast that I just found tonight. One of the episodes was about apathy and disillusionment in the pagan culture. Now, as it so happens, the most read post on the blog, at this point, is the post I wrote about my own disillusionment about the occult scene. So hearing that podcast episode generated some empathy on my part. I think it's fair to say that disillusionment of some kind is an inevitable reality of a spiritual path. It's a test of that spiritual path...and could be a kind of dark night of the soul. Some people never come out of that disillusionment. They give up, or turn away in disgust because whatever they are looking for can't be found in the spiritual path being explored. They forget that you can't always look around to find something to answer the questions. Sometimes you have to create the answers. In fact it is creating the answers that usually leads a person out of apathy or disillusionment. The person may feel jaded and cynical and yet at some point realizes that no matter where s/he looks, the answer ultimately lies within. Yes we can read books, do what the books tell us to do and even interact with other people in an organization and yet at some point the challenge for a practitioner of magic is to define his or her own path. Some never do that, and others do. I think that the apathy and disillusionment is a sign for when it is time to look toward creating your own path. At that point, you realize that whatever is out there won't answer your questions and may not even have the questions you need to ask. My disillusionment with the occult scene started in the late nineties. I took a two year hiatus from the occult community, from 2000 to 2002, but even when I came back it hadn't really changed. All that had changed was that I was starting to develop my own path. I had read the books and practiced the exercises and rituals, and had some definite results and life changing experiences, but until I struck out on my own, I didn't really start to find or develop the questions and answers that have informed my own life journey. Even after I struck out on my own and eventually helped found the esoteric portion of Immanion Press, there was still a lot of disillusionment to work through. Some of it was from Graduate school and my choice to drop out of it...the feeling of failure and anger over that took a long time to heal. Some of it was disillusionment with myself as a person, realizing just how much I didn't like myself or how I presented myself to others, and some of it of course was magic, because even while I was writing my books, there was a part of me that felt alienated and angry with the entire occult community. Over time, I found my path. It took years. My elemental work and the Taoist meditations was my answer to the disillusionment I felt about myself. Instead of choosing to remain apathetic about who I was, I decided to change myself, to take a much more active role in shaping myself into a person I could like, love, and be proud of. The process is ongoing, likely always will be, but as i've stated before, i'm happier with myself now than ever before. Even the emptiness working is ultimately a proactive approach toward redefining what I am doing and who I choose to be. With the Ph.d, my answer to the disillusionment I felt was to ultimately take the skills I learned and apply them to the editing and writing I did, and in the case of several articles and my book, Multi-Media Magic, put to rest my feelings about academia, so I could move on with my life and no longer dwell on something not important. And with magic? It's ironic that as I started in on the emptiness working, I at the same time finally found my answer to the disillusionment I've felt about the occult scene for so long. When I realized that other people felt the same way as I have, I considered that to be an indication that my dissatisfaction and concern wasn't just in my head. And that allowed me to consider taking a step in a different direction that I previously entertained much, while also finding my answer in that direction. And that direction? For now it's a bit of a secret, though one I've already dropped hints of elsewhere. I'll be more open about it eventually, but I will say that for the first time in a long time, I spiritually feel at peace with the occult community as a whole, because I'm realizing the benefit of continuing to carve my own niche, and find my own path to get the answers I seek as well as continue asking questions. But I also know the disillusionment I felt, while not fun to experience, has helped me recognize the value of creating my own answers. To some degree, creating the non-fiction line of books in Immanion Press was my answer to that disillusionment, for it gave me an opportunity to promote what I believe is essential to the evolution of the occult subculture as well as the evolution of humanity in general. That was a partial answer and the value of that answer to myself is evident in the comfort I take in not just publishing my own writing but providing a forum for other writers to publish and share their works. The happiness I have seen in those writers when their works were published in a way that respected and valued what they had to say has often provided me hope at times when I sorely needed that hope. And yet the full answer couldn't be arrived at until recently, until I was ready to take another step forward in service not just to myself but also others. Some of that answer arose out of my life coaching and the networking I've been doing with other businesses. And some of that answer continues to come from my own experimentation, but also work with others. It is in fellowship with others that some answers can be created. The interchange of ideas, the exchange of energy, etc. The magician is not some lone wanderer on a path, not always...Sometimes the path turns and you find there's another person or people there ready to walk for a turn with you. It is the creation of an answer that provides you the light at the end of the tunnel, the dawn rays of the sun ending that long night. What will come after that? Who knows...but I'm ready to step forward and find out. I was recently invited to be a guest at Pete Carroll's Arcanorium College by an acquaintance on Myspace. I'm checking it out and it is interesting to see what Pete Carroll is up to. The person who invited me identified me as a chaos magician. I've been given that label a number of times and my work has been described as chaos magic as well. I want to set the record straight. I have never considered myself, nor ever will, to be a chaos magician. While I certainly draw on the techniques and concepts espoused in chaos magic, I've also drawn on a variety of other esoteric practices that continue to inform my work to this day. Nonetheless, I don't consider myself to be a ceremonial magician, a neoshamanist, a quabbalist, or any number of other labels one could foist on me. Speaking for myself and for my work, let me tell you that if I Label myself anything, it is as an experimental magician. That's my current, that's what my work could be labeled under, and it is what I identify with. If you wish to know more about what I think that entails, I direct you to my article, The Evolution of Magic. 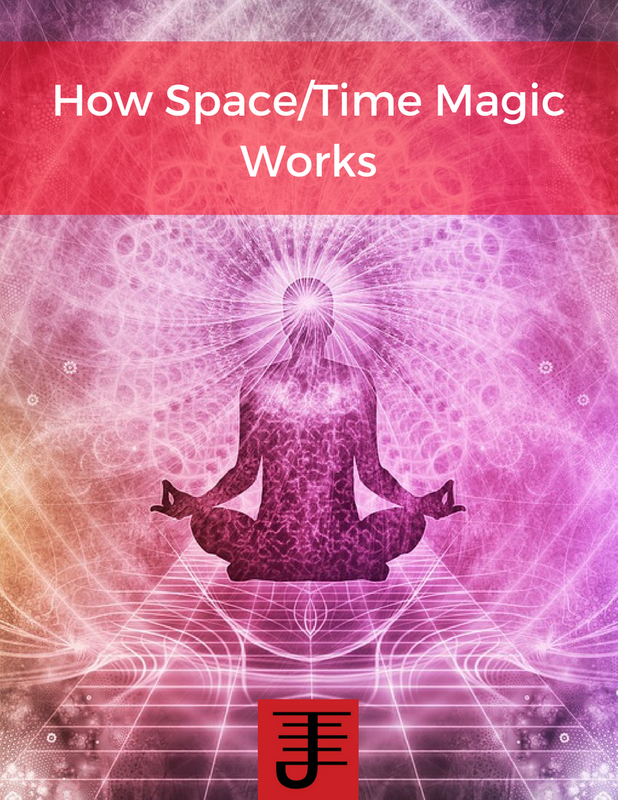 Magic: It's more than just finding parking spaces This article reflects some of my ongoing changes in my philosophy about occult culture and the relevance of magic within it and life in general. The Latest issue of Rending the Veil is up! It features articles by Patrick Dunn, Cat Vincent, Lupa, myself, and others. I direct readers of this blog to my article: The Evolution of Magic, which has an important announcement at the end of it. Also my new column: Occult Author Spotlight debuts with a look at Pascal Beverly Randolph. The other articles are also really good. I found Dunn's article on creating an imaginary friend particularly intriguing. So check out the Samhain issue of Rending the Veil and see what's being done by some of the cutting edge occultists. 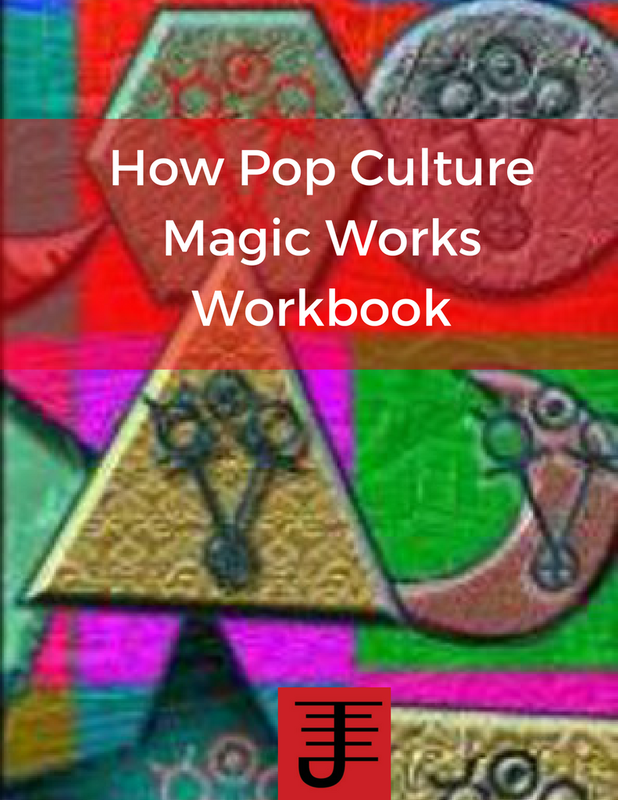 Must have a well-rounded background in magical practices and also non-magical disciplines. By well-rounded I mean someone who's studied magic extensively enough to know that the occult does not begin nor end with Crowley, and has some familiarity with not just hermeticism or chaos magic, but also Eastern approaches to magic. Being well-rounded in non-magical disciplines involves learning more a variety of disciplines such as finance, semiotics, the sciences, linguistics etc. Must have a critical, but open mind when it comes to experimentation. Know how to question the process and refine it. Must be able to show consistent effort in magical practice. No high holiday magicians here! So today I was going to meet up with a small group of people who were trying to grow their magical group. I went mainly to see what they were doing and cause I'm curious about what others are doing. When I went there, I couldn't find them, mainly because they weren't where they said they would be. When I did encounter them, they wanted to go into a graveayrd to do their ritual. This made me feel uneasy. I don't believe in doing rituals in graveyards for the simple reasons that a graveyard is a very personal place for the dead and those people who come to honor their ancestors. None of the people I went with had ancestors there and neither did I. When they told me their ritual and mentioned it could be changed around in whatever way worked for other people, I knew at the point I couldn't work with them. Also my intuition had strongly picked up on the feeling that we were not wanted there and that the ritual was not welcome. I told them that it didn't feel right and I left without partaking in their ritual. I walked away from working with these people because they didn't strike me as very organized or aware of magical practice. I questioned each of them a bit about their background and quickly realized they didn't seem to have what I might consider a solid foundation of magical practice. Nor were they at the place they indicated I should meet them, which seemed flaky to me. Finally, they didn't seem aware that there ritual might not be wanted. This especially bothered me, because if you practice magic, you ought to be able to sense if what you're doing is welcome or not and I definitely could tell that the dead did not want to be disturbed. I never do magic with people I feel uneasy about. If I have any doubts, I walk away. And the reason I walk away is because you are sharing your energy with those people...It's important to be wise and careful about that. Think about your own standards for who you will practice with. What makes that person someone you'd work with? What tells you that you shouldn't work with someone? Think as well about the culture you want to be part of? Do these people represent that culture? If you have any doubts, walk away. You'll be doing yourself and those people a favor. Tendencies to arrogance and self-obsession among magicians. An inordinate focus on rebellion, rebelliousness, and distance from the dominant - or any culture. An unusual distance from people, processes, nature, and the world at large - a distinct sense of separation. Magic is push-button, and people, cultures, nature, and even magic are seen as something mechanical, easily boiled down to a fw traits. These pathologies often trouble I and those I work with in magic. As magical pratcitioners, as much as we enjoy the activity, the pathologies in Western Magical culture prevent barriers. Simply, when one joins a group, a list, go to an event, you worry you're going to run into what are lovingly called "the nuts" (and less lovingly called many other things. I find no reason to think these pathologies are universal to magical and mystical practitioners. A quick examination of practitioners of magical arts and their legends in different cultures reveals a variety of different kinds of personalities, virtues, vices, and practices. One can find alchohol-fueled shamans, serene Buddist monks with occult abilities, compassionate Taoist sage-Immortals, and more. There is no reason to assume the pathologies of Western Magic are universal to magical practitioners, or even have any particular utility. Looking at these pathologies, I felt they would be best addressed. So in my small effort to make a contribution to understanding these issues, I decided to ask - just where did these pathologies come from? Perhaps by understanding these issues, I could do some good. So, I started at the top. Christianity was the dominant religion of the West for centuries, and is an odd religion in many ways. It proposes an omnipotent and omniscient deity of ultimate power that still possesses identifiable human traits of anger, love, and so forth. Its central deity, despite his great power, allows evil and suffering to exist due to a rebellious minion, later explained as an issue of free will - which one would figure that an omnipotent being could deal with such an issue. Attempts had to be made to reconcile a rather cruel tribal (Old Testament) deity with a later loving deity, leaving one with a loving being manipulating a messed up world and eventually condoning eternal torment for people for what would be frankly trivial actions. The Christian God was also a distant being. His creation was a possession of his own, as were the sentients within it. He would regularly send disasters, plagues, and so forth upon people and countries, theological weapons of mass destruction. He had no connection to his creation except as something separate. However, despite his confusing nature, the Christian God was considered the leader in all things, and thus in many ways, could be taken as a role model. His commandments were to be obeyed (even if they seemed to benefit those relaying said commandments). His world was law, and his confusing traits were to be explained as mysteries or by theological acrobatics. Magical practices of these times were thus limited by the strange issues of this deity: early Western-Christian magic seems to have split between "Natural Science" magic that worked with perceived neutral or divine forces, and a kind of religious magic where one used (or misused) the name of the Christian God, rituals, and so forth to achieve certain ends. One worked within creation - or stepped into the rather large shoes of the Deity to call angels, coerce demons, and so forth. There were exceptions (such as the mystical meditations of Honorius and of course the Cabalists. ), but such two-sided magic seemed to predominate. One never left the sphere of control of the Omnipowerful Christian God, but one could act like him. And in this, I think the seeds of the pathologies of Western Magic were planted (as well as frankly pure social problems). The first role model was an incomprehensible, erratic tyrant. Of course, tyrants produce rebels . . . REBELLION: Shout at the Devil Explaining the problems of the world in light of the hodge-podge of the Christian God proved rather difficult for people - a perfectly powerful, perfectly loving being was dealing with a supposedly imperfect creation. Fortunately, theology provided a way with Satan, who can be thought of in many ways, but I think of him as a religious plot device. A McGuffin with horns. Satan is a figure somewhat less confusing than the Christian god, if only because he's somewhat simpler: a rebellious servant who decided to do his own thing and was, essentially, a professional pain-in-the neck. You could always blame Satan. Accusations of Satan Worship were common in Europe for hundreds of years - different sects of Christianity naturally assumed other sects were in league with the devil. Satan was everywhere you weren't, and the explanation for all bad things. Satan had two influences on Western Magic in my opinion: 1) First, Satan's influence on popular culture at the time led to plenty of stories of Satanism - and of course Satanic magic. Faust may have been popular, but similar tales of deals with the devil popped up all over. The idea of the magician as in league with dark, rebellious forces easily worked its way into popular consciousness, and affected people's expectations of magic. Would-be magicians, frauds, novelists, and honest seekers were easily influenced - or were glad to influence others - with false grimoires and strange experiments. 2) Satan led to endless speculation, and of course, writing. He was explored in Paradise lost. He was written about. He became a convenient dumping ground for people's fears. Of course, as the human mind can't resist exploring, he was at times visualized as a hero, or turned into a counterforce to an evil false God with a nice injection of pseudo-Gnostic thought. Perhaps the ultimate triumph of the idea of Satan were people who decided to actually go worship him, as others had been accused of doing. However, Satan really wasn't much of a role model, except perhaps for the bacchanalian rebellion he provided against straight-laced society. He was childishly (and suicidally) rebellious, destructive and lashing out against creation, and in general, a jerk. He was a mirror-image to the Christian God, and he lived up to it, adding only one new trait: rebellion. Thus the Western Magician was caught between an arrogant and bizarre god, and a romanticized but destructive rebel. Magic itself was part of a system that usually involved coercion of beings (and a helping of whatever old pre-Christian rituals could be adapted). DISTANCE: Blinded by Science As Western Society moved into its scientific age, a more enlightened time, the scientist took his well-deserved place in culture. New discoveries, rational exploration, and intelligent thought became important to culture. It's no small feat to say science is something we owe much to in Western society. However, science still grew up in the culture of the West, and it inherited some of the pathologies. Science could justify tribalistic identity with "scientifically justified" racism. Science was seen as liberating us from creation and controlling it - much as the deity had. Science in Western society, for all its gains, postulated humans distant from creation, controlling it, dominating it. Despite evolution's reminder of our origins, people were still distant and controlling - just as the Christian God had been. I will be fully straightforward in my biases - I think a lot of modern Western science hasn't yet transcended its cultural biases. Unfortunately those biases came from the Western Christian concepts - and people were still following in the footsteps of the Christian God (and in a few cases, Satan's cloven hoofprints). Science was in a way a boon to Western Magic - bringing in psychology, scientific metaphor, and cultural study. I'd say in fact Western Magic greatly benefited from science. However the distance rarely seemed to go away. I've seen magic boiled down to pure, materialist psychology, fears of "scientificizing" or "psychologicizing" magic, and so on. Magic, I think, has often suffered self-esteem issues in the West, and thus compensates not by doing its own thing, but by trying to be more like science. There's a point when if you start being something else, you stop being what you are. THE SUMMARY Western Magic, though making many leaps in the last decades (or century), still has its pathologies as mentioned in the introduction: Arrogance, Rebellion, and Distance. The role models of Western culture (acknowledged and not), leave us with these traits. However acknowledging the past lets us cope with it - and magic is after all transformational. By acknowleding that Western Magic hasn't always had the best role models (and survived despite that), we can go about developing the future.